The sonic power of phone books. The realm of the acousmatic. Binaural bicycle rides. These are a few of the concepts that came up in my correspondence with sound designer Mike Hallenbeck. With the Walker’s public observance of World Listening Day about 1 week away, my investigation into aural attention continues. As I gather insights on listening from professional listeners in our community, I appreciated the opportunity to bend Hallenbeck’s ears for a few questions. Mike, your writings and audiocraft emphasize sound’s profound variety, its function as a wordless language, and its influence on the imagination. Reflecting on your experiences, what listening prompts would you propose for World Listening Day to facilitate discovery through listening? I suppose the thing is simply to ask oneself: “What do I hear?” Learn to break down what you’re hearing. What’s happening in high frequencies, mid-range, and lower frequencies? What’s tonal, what’s rhythmic, what’s harmonic? (Any soundscape, from a symphony to a forest to a racetrack, will usually include these elements.) How dense is it? How sparse? Where are things located in the stereo or surround field? What’s happening that you like, and what do you wish was different? This sort of question—”What does it sound like?”—might sound overly simple, but I find it to be central in sound practice. It helps determine how to appreciate and improve sound/music that you’re creating or evaluating, and helps one to respond to the world at large. But the obvious rejoinder—and one I agree with—is that this isn’t an approach exclusive to sound, or indeed to any sense. Lately I’m asking myself more about the conversation between sound and vision, and to tell you the truth that’s something I’m still exploring in a very elemental sense. I work more and more with sound that responds to and collaborates with visual and/or narrative elements, so these days I’m far more concerned with the interaction of the senses than with sound on its own. To me the important thing is to cultivate a sense of awareness that involves all the senses, incorporating listening into one’s overall practice of mindfulness. That makes sense—the integration of sound and sight are key to your work as a Foley artist. Like trompe-l’œil for the ear, Foley artists add sounds to recorded media that seem naturalistic but are in fact an artifice. Can you describe a surprising method or material you’ve encountered in Foley art? Lately I’ve been pondering the unexpected sonic power of the phone book. When I did one of my first Foley assignments for film, I looked up some how-to videos online to figure out how to fake the sound of a punch. I found a video made by an eleven-year-old where he demonstrated how to replicate a punch sound by closing a phone book really hard. It didn’t work for the entire sound—I wound up mixing in a vocalization to add a little sharpness—but it got me pretty far along. Recently I attended a panel discussion by some Foley artists where two of them shared techniques on how to simulate bodily impacts on a floor surface (other than throwing yourself on the floor, which I can confirm gets old real quick). Both suggested an article of clothing (one a leather jacket, the other some coveralls), but both recommended filling said clothing with—that’s right—phone books. So the idea’s got legs. I’m looking forward to furthering my phone book savvy soon. I just hope they don’t stop making them, or else I’ll have to start using Henry James novels. Speaking of books, your “Audiobook” posts on your Synching Ship blog resonate with me. Would you be able to suggest a reading along those aurally attuned lines for World Listening Day? Sound is really hard to describe using language, but it can be done. Usually I’ll come across a deft description of sound only here and there in books, and the “audiobook” feature is a way to share it with others and (just as importantly) to remember it myself. Something that comes to mind is “Cold Mountain” by Charles Frazier. The descriptions of music performance (the stuff performed by Jack White and company in the movie) are some of the most eloquent I’ve ever encountered. I recall “Company” by Samuel Beckett having some nice descriptions of quiet, subtle sounds, but that’s kind of a vague memory. In your day-to-day appreciation of all things aural, especially environmental sounds, have you been earwitness to sounds that might be disappearing from our soundscape? My own day-to-day is fairly banal, so I wouldn’t say there’s much change there. But the demands of consumer society appear to be destroying habitats of many species at a pretty rapid clip, which will silence a lot of creatures’ calls as they go extinct. Bioacousticians like Bernie Krause have demonstrated how nature’s sonic identity has been altered as human-made sounds intrude on the frequency spectrum. I’m doing what I can to address the problem by typing a bunch of words on a computer screen. The impact of human noise on the wild soundscape is a fascinating topic. In the Sculpture Garden, for example, birds might be developing an urban dialect and the chattering red squirrels are absent since their extirpation in 1909. Take a sonic snapshot of your environment right now. What sounds are you perceiving and are there any special meanings you make of them? You’re right that I was “looking for” environmental sounds, but your answer aptly demonstrates the contemporary listener’s condition. We are constantly toggling back and forth between mediated and unmediated sound worlds, awash in a mix of “original” and “reproduced” sounds. For me, this calls to mind the work of R. Murray Schafer, the sound researcher whose birthday is honored by World Listening Day. Schafer examined how the Industrial and Electric Ages revolutionized our relationship to listening. He coined the term “schizophonia” to describe the split between original sounds and their copies. From your perspective, what is the delineation between original sounds and electroacoustic reproductions? Could there even be sounds that don’t easily fall into one category or the other? The light rail train offers a nice example of schizophonia—the train emits electronically sampled sounds of the warning bells at a railroad stop, and—if memory serves—the whistle of a steam locomotive. It’s easy to assume these sounds are produced by actual physical processes, but in fact they’re “fake”. All that matters is that we get the message to be careful in the train’s vicinity. Yes, a sort of sonic pastiche. The signals’ function is to be interpreted without hesitation, but when we pause to listen, there’s a more complex story behind them. I guess what we’re talking about here is the realm of the “acousmatic”—an experience of sound merely as a reproduction through speakers, especially when it’s something created electronically in the first place (as with synthesizers, sampled drum loops and the like). The auto-tuned voice comes to mind—it’s gotten to the point where it’s not just an effect in pop and R&B anymore, but just, you know, kind of how voices are expected to sound, like it’s something singers learn as part of their vocal training. It makes me wonder how many people have portrayed Alvin and the Chipmunks over the years—since all you have to do is speed up somebody’s voice, it could be anybody. The Internet is a huge topic, since it manifests itself in so many ways. The first thing that comes to mind for me is that it’s ratcheted down appreciation of sound quality. Lo-fi is a new standard in video, and there have been studies that show younger people often prefer mp3s encoded at degraded bit rates to high-resolution audio. Ick. However, the Internet has been huge in terms of transforming sound practice for the better. I’ll focus on the community-building aspect, which is pretty much universal for any group but has dovetailed especially nicely with sound art. Back before I did anything “practical” with sound, I had no idea just how many people out there were also interested in capturing audio signals “in the field” and curating concrete sounds as art. When I became aware of resources like the phonography listserv I discovered all these other folks out there who were into the same kind of stuff, all over the world—a small community, but a vibrant one. This led to the discovery of all this history, methodology, theory, technical advice, opportunity to share work… you name it. The floodgates opened. It was really transformative. Your blog curates and draws attention to the language of sounds, sometimes foregrounding sounds produced for effect such as the blat, the beep, the artificial water tank, or Google-translated beatboxing. 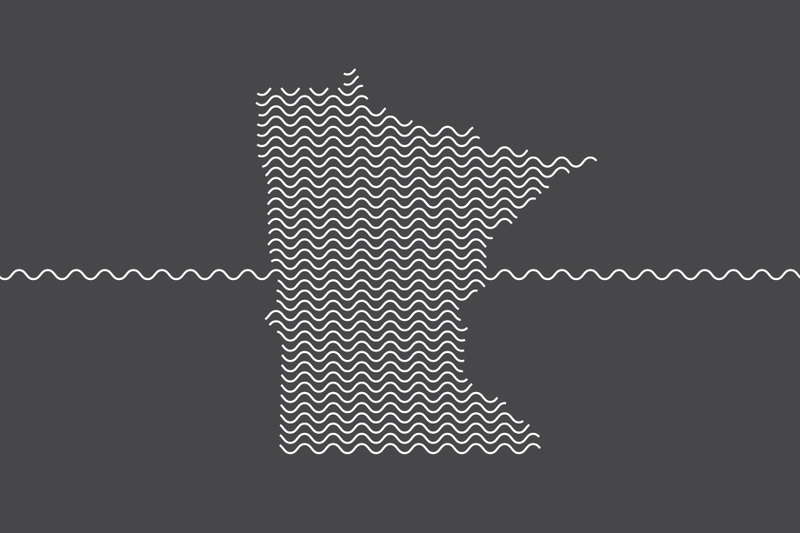 But you also unplug from time to time and listen to the world of “unmediated sounds.” Along those lines, how would you explore the Twin Cities to get a sense of its sonic texture? I’d recommend a bike ride around Minneapolis in the summer. One of the things I like about biking is that while you’re traveling relatively quickly, which can be exhilarating, you’re not encased in anything and you’re traveling slowly enough to experience sensory intimacy with your surroundings. I like the crunches and crashes of the recycling stations I pass on North Second Street. When I pass the Metrodome there are sometimes kids skateboarding, and I love all the pock-crack impacts skateboards make. And generally speaking, the tactile crunch and grind of the bike tire against the street is pleasing to my ear as well. Sure—like a soundwalk but on wheels rather than foot! One of my favorite Synching Ship posts was your binaural bike ride from Easter 2011. It’s delightful and demonstrative of how sounds ground our awareness in time and in space. Mike Hallenbeck is a composer and sound designer active in a variety of media. He adopts sounds both hither and yon, brings them home and helps them decide what to be when they grow up. He blogs at synchingship.blogspot.com and maintains a home page at juniorbirdman.com.